What Does SSSS Mean On My Boarding Pass? 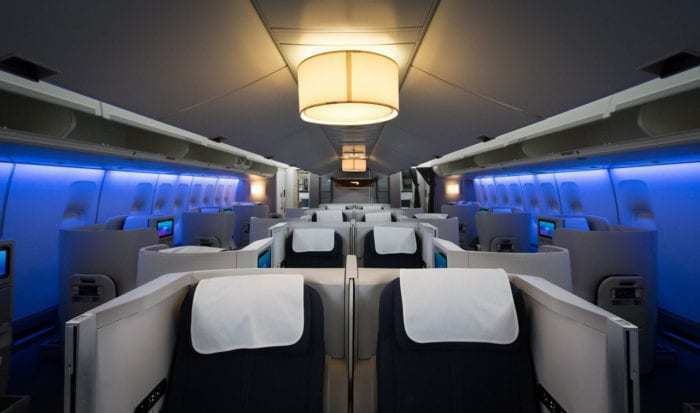 This morning, British Airways has released a series of teaser photos access all of its social media of their new Club World business class seat. 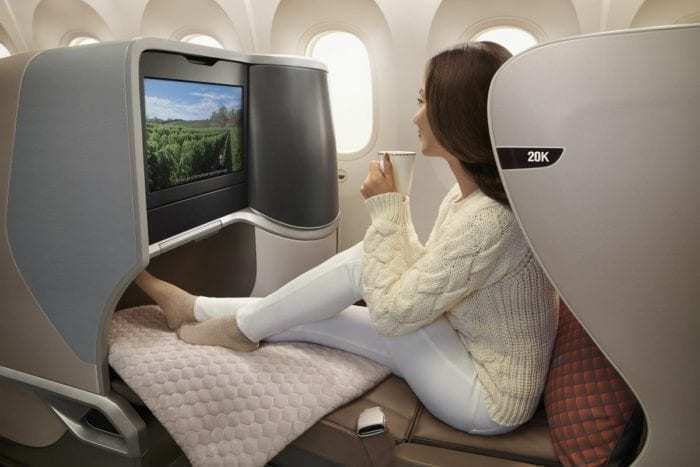 The new Club World seat is expected to be installed on British Airways’ brand new Airbus A350 aircraft, with deliveries starting in July 2019. This will be followed by an entire fleet rollout, starting in 2020 and ending by 2023. 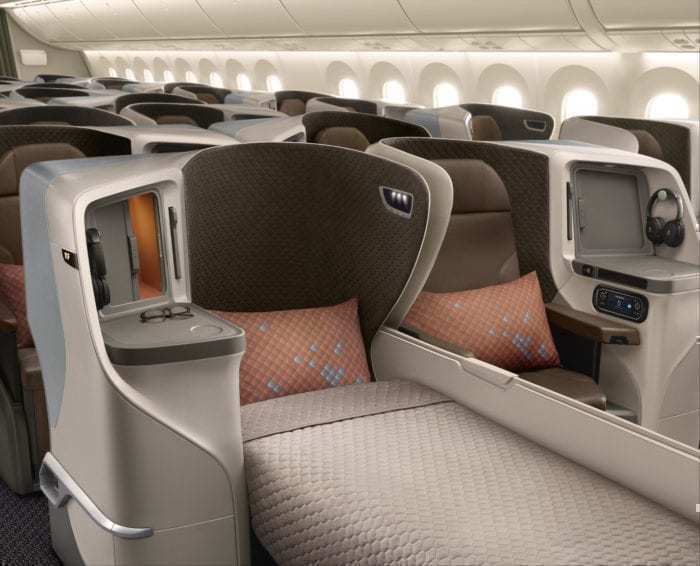 This means that, by 2023, every British Airways long haul plane will offer this brand new business class seat. The current Club World seat British Airways offers is dated, having first been introduced almost 20 years ago. At the time it was revolutionary, but subsequently other airlines have improved their flat bed offerings, making the British Airways product somewhat pale in comparison. But it looks like British Airways is finally catching up (around 10 years late). A larger seat than the current offering. Direct aisle access for all seats. Gate to gate inflight entertainment (fixed screen?). 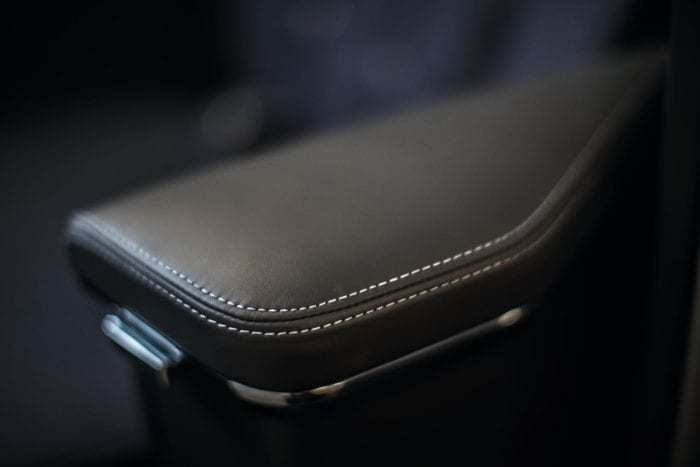 On the next photo British Airways released on Twitter, it shows a refined leather armrest. What is interesting is that you can see a button to push the armrest down, increasing seat space. 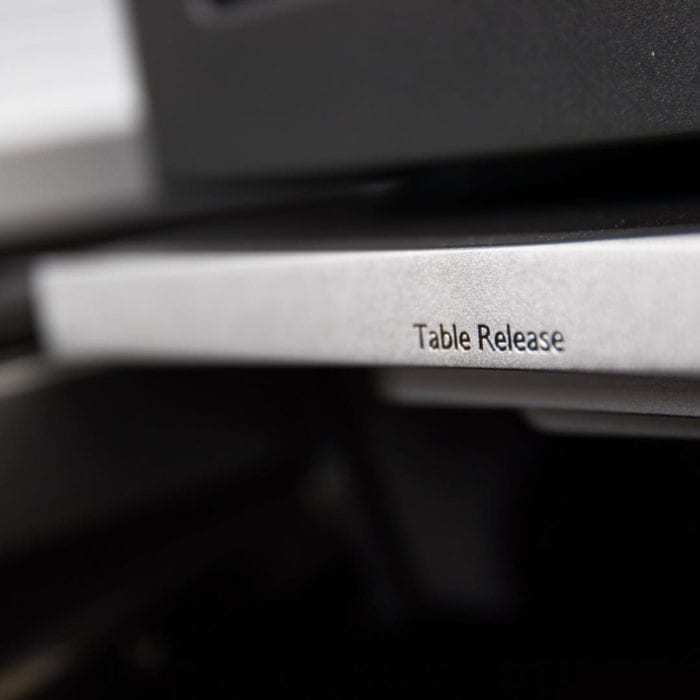 The final teaser photo released appears to show the table before its folded out. It looks like there is a large footwell below the table which would make sense. If the new seat offers gate to gate entertainment, it would suggest the seat has a fixed screen, with a footwell beneath it. 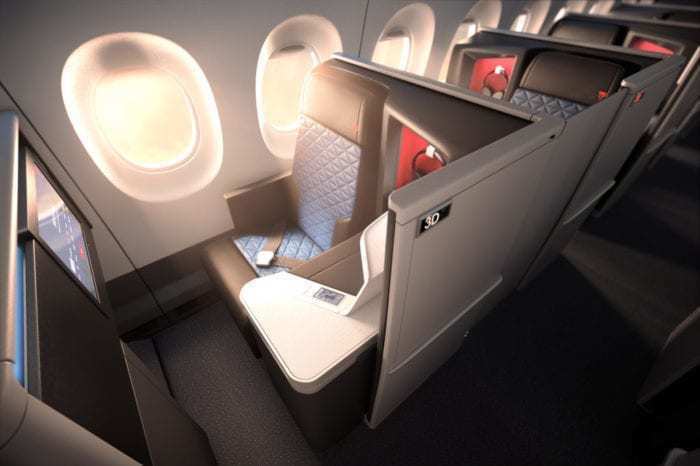 Let’s look at the clues… A fixed screen, direct aisle access, an arm rest you can push down, premium construction and increased stowage and privacy. The only seat that offers all of this is the Stelia Solstys III seat by Stelia Aerospace. The seat is currently used by Singapore Airlines on their 787-10 aircraft, and Turkish Airlines will be installing it on their 787’s. 40.5”. The standard bed width is 26.2’’. 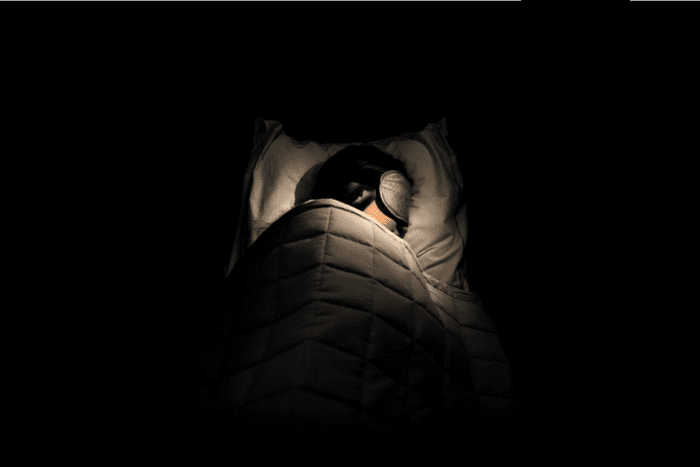 An enhanced bed option provides a sleeping length of up to 87’’ for all passengers. 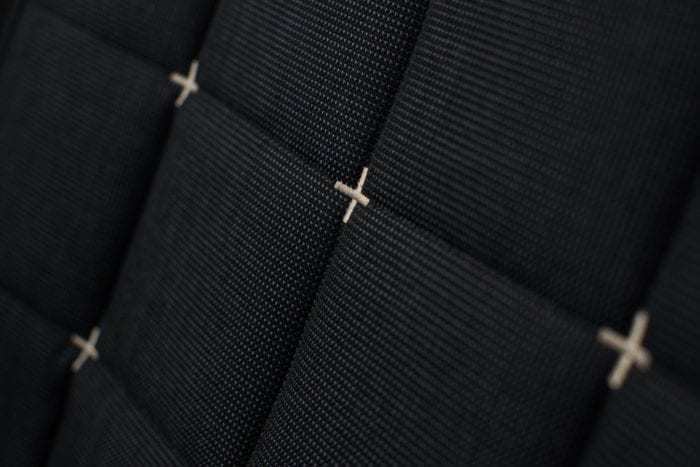 All of the clues could point to this seat design, however British Airways have said it’s a custom seat. Due to the large order volume Stelia Aerospace could be getting, we could see this design being heavily customised. Perhaps the seat will even have doors. Earlier this year, British Airways asked the public to help choose between three names for the new seat: Club Suite, Club World Suite, and Club World Space. So a seat with doors would point to these names. It’s an exciting time for British Airways this year and the carrier is expected to make huge improvements. It’s only a matter of time before their new Club World seat is announced and we can look back to see if our guess is correct. Why do you think it isn’t the Super Diamond? The Nurses Who Flew: What's Next For WOW Air's Young Icelandic Cabin Crew? © Copyright Simple Flying 2018-2019 - All rights reserved.